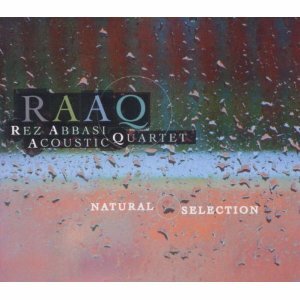 Rez Abbasi has been layering his multi-cultural rhythms on the scene for almost 20 years. I really only knew about him in name. I had seen his name in live listings but never really ventured out to check him out. This past week I was surprised when a friend gave me a copy of his latest album, Natural Selection (Sunnyside Records). Abbasi is originally from Pakistan but has been in the US for most of his life. He has studied and played with a variety of genre bending musicians including, Greg Osby, Rudresh Manhanthappa, Kadhri Gopalnath, Tony Malaby and Marilyn Crispell to just name a small few. Rez Abbasi like Manhanthappa and Gopalnath, has seamlessly blended his Eastern heritage into his Western learning and it is perfectly done on Natural Selection. It is a straight ahead jazz album but you get his life experience as the foundation throughout the session. Natural Selection gets started with a cover of one of my favourite artists of all time, Nusrat Fateh Ali Khan 's "Lament". This caught me completely off guard because I didn't really look at the track listing before I put the CD on. And I knew within seconds who he was covering and my head went spinning. So now that he's caught my attention... "Lament" is a somber tune and driven by what in this case would be usual instruments from the traditional Pakistani style--guitar, vibes, drums and bass--this turns out be a beautiful swirling opener and homage to the legendary voice. "Pakistani Minor" delivers an almost John Abercrombie-esque quality with some wonderful passages and manipulation. Eric McPherson sounds extremely stunning on drums. In addition, Bill Ware and Stephan Crump hide dreamlike inside the melody making this Abbasi original a real standout. "Up On The Hill," a dedication to the great pianist Andrew Hill, has many of Hill's philosophy built in. There are multi-faceted statements here both large and small. Complex, but a real delicate beauty as played out by Abassi and Ware in unison. One of those foundation points for me was "When Light Falls", a short piece with just Abbasi on guitar, but what you get is that East-West blend from an instrument that is clearly Western in nature. Played with the intimacy and integrity of years of understanding. 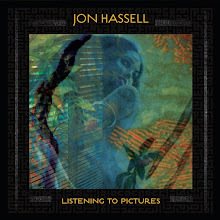 "Blu Vindaloo" is an adventurous number which could easily appear on a Jason Adasiewicz album. The performance from Ware sounds almost like a piano at times. Crump and McPherson shine here in slow midtempo blues. "Ain't No Sunshine" (the Bill Wither's classic) closes out the album in a soulful and spiritual way. Abbasi delivers this rendition fairly straight forward and romantically. But it also shows a soft tone and versatility that many current guitarists may not take with number like this. A really superb passage. For me, Natural Selection was a rich surprise from a unique talent that I probably should have been listening to for awhile. The use of all acoustic instruments and the manner in which each musician tackles the compositions is truly stunning. And at times you really wonder "how'd they do that?" I may be late for the train and some of you might be too--so let's get onboard together. 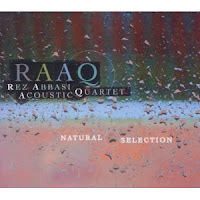 Rez Abbasi has delivered a document of high quality and inventiveness that is well worth your time.